Many people are unfamiliar with the notion of God the Mother. So they seek to understand Her and Her connection to salvation through the Bible. God included the history of Abraham’s family in the Bible for that very purpose. Through Abraham—one of the forefathers of faith—God teaches His people the necessity of God the Mother. Abraham is one of the more prominent figures in the Old Testament. God recorded the history of Abraham’s family in great detail. Within the history of Abraham’s family lies a profound prophecy concerning those who will become the heirs of God. Through a parable, Jesus revealed whom Abraham and his family represent. Typically, people imagine being carried to God’s side when they go to heaven. However, when Lazarus died, Jesus said he went to Abraham’s side. The rich man even looked up to see Abraham in heaven and, interestingly enough, called him, “Father.” Yet, Jesus strictly taught that our only spiritual father is God the Father in heaven. Understanding that a man in heaven cannot be God, the fact that the rich man called Abraham “Father” clearly indicates that Abraham represents God the Father. The Bible uses Abraham to represent God the Father in other instances besides this parable. Understand, then, that those who believe are children of Abraham. Shouldn’t those who believe be known as children of God? Then why are they called “children of Abraham”? It is because, many times in the Bible, Abraham is used to represent God the Father. Consequently, since Abraham represents God the Father, Abraham’s family represents God’s family. God chose Abraham’s family as an example to demonstrate the characteristics believers must possess in order to be chosen as God’s children and inherit the kingdom of heaven. Since Abraham represents God the Father, Abraham’s family represents God’s family. Abraham’s family consisted of three candidates with the potential to inherit Abraham’s estate: Eliezer, Ishmael and Isaac. However, Isaac received the family inheritance in the end. By knowing why Isaac was selected as Abraham’s heir, we can know how to become the heirs of God. At this time, Abraham did not have a son, so he planned to make his servant, Eliezer, his heir. God responded to Abraham telling him that he would instead have an heir coming from his own body. In other words, he would have a son of his own. So Hagar bore Abram a son, and Abram gave the name Ishmael to the son she had borne. Abram was eighty-six years old when Hagar bore him Ishmael. Since Abraham’s wife, Sarah, could not have children and was well advanced in age, she recommended that Abraham have a child with her maidservant, Hagar. Abraham called his newborn son, Ishmael. Although Ishmael was Abraham’s son, he still did not become his heir. Through the birth of Abraham’s second son, Isaac, we can understand the reason. According to the law of primogeniture among the Israelites at the time, the eldest son receives the family inheritance. Since Ishmael was Abraham’s firstborn son, he should have received the family inheritance. But he did not. Rather, God allowed Isaac to receive it. So, Isaac was not chosen according to the law of primogeniture, but according to God’s providence. 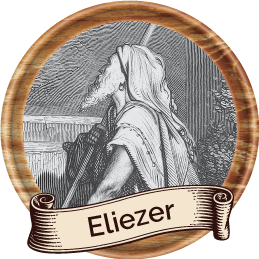 Looking back, Eliezer could not have become Abraham’s heir because Abraham and Sarah were not his parents. Ishmael, though he was Abraham’s son, could not have become the heir because his mother was not Sarah. 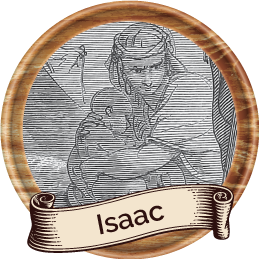 Finally, Isaac was chosen as the heir. It’s because he was born through Abraham and Abraham’s wife, Sarah. 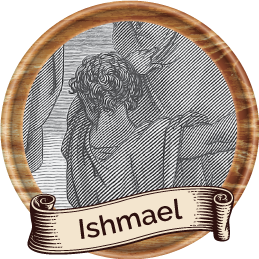 The only difference between Ishmael and Isaac was their mother. God used the maternal line to determine Abraham’s heir. But the other woman, Sarah, represents the heavenly Jerusalem. She is the free woman, and she is our mother. The detailed history of Abraham’s family shows us how we can inherit the kingdom of heaven. Just as Isaac became an heir because he was born of Abraham and Sarah, we can become God’s heirs when we are born again through God the Father and God the Mother. Through Abraham’s family, God wanted to teach us that God the Mother is the decisive factor to become God’s chosen ones. Her existence is necessary for our salvation. Here, “our” refers to God’s children who believe in God the Mother. Sarah represents God the Mother, the Heavenly Jerusalem. Among the three candidates, Isaac became Abraham’s heir because he was born of Sarah. In the same way, those who believe in God the Mother can become children of God who receive the promised inheritance of the kingdom of heaven.